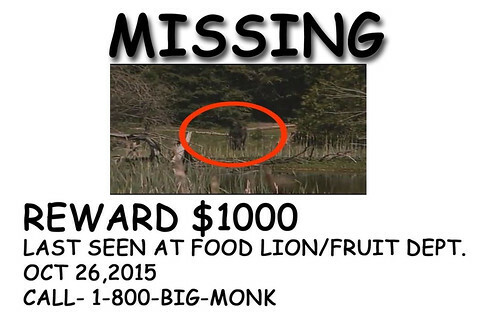 The Daily Create task for today was to create our own “missing” poster, and since the title of the challenge was “Bigfoot is Missing,” I decided to have some fun with it. The job was done a lot faster than I expected it to be, as it only took a few minutes on Photoshop for me to get everything situated. After uploading a blank page onto the screen, I typed up, and centered, the necessary words for the job, similar to one of those stereotypical “missing child” ads on the side of milk cartons. The picture itself, another public-domain shot from Bing Images, was edited with a bright red circle around the titular creature, for identification. From there, I saved everything on my computer, before uploading the finished product, itself, onto Flickr and Twitter.